10.1HELP GOSTICA RAISE THE VIBRATIONS AND SHARE THIS ARTICLE WITH YOUR FAMILY AND FRIENDS. Are you interested in powerful crystals and curious about how you can harness some of their power and strength in your own life? For thousands of years, ancient civilizations have used so many powerful crystals to release mental, physical and spiritual blockages. Since crystals come from the earth, when they’re placed on your body, they help you connect to the planet’s healing energy, leaving you feeling more relaxed and balanced. 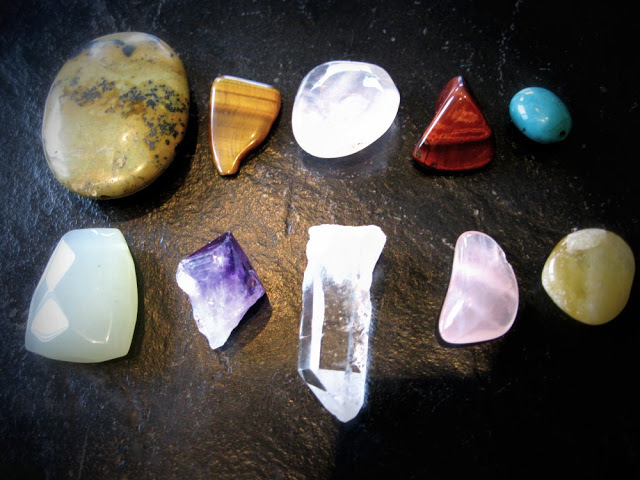 Each crystal has unique properties and energies to heal different aspects of your life. Below is a small list of 10 of the most powerful crystals and their healing properties and why everyone should own at least one. Turquoise is the master healer. It is believed to be the energetic bridge between heaven and earth. Since ancient times, it’s been highly regarded for its protective and good-luck-charm properties. It’s believed that when Turquoise is given as a gift, its healing properties are magnified by one hundred! Turquoise is a stone of communication that helps you to speak your truth, from the highest source of love. In ancient times, Bloodstone was often worn as an amulet to help purify the blood. When our blood and energy is flowing smoothly, our life force remains strong and healthy. This crystal is a powerful energizer, helping you to overcome lethargy, negative thoughts and self-doubt. Bloodstone also helps to boost enthusiasm, increase drive and maintain emotional well-being. Smoky quartz transmutes negative energy and acts as a protective shield against unwanted energy. It helps you to let go of old patterns and belief systems that are holding you back. It releases all blocked, old and stagnant energy in the body. Once all of your old energy is removed, new energy is able to fill the open space with light and hope. Rose quartz is a stone of unconditional love that helps to open and heal the energy of the heart. It encourages the forgiveness of others and, most importantly, of yourself. The secret to finding true love is to love yourself. Rose quartz emits vibrations of love, beauty, and compassion. It’s a feel-good stone that nurtures, supports and allows you to feel the most powerful energy in the universe: LOVE. Ancient civilizations believed that carnelian attracted fortune and helped you attract your deepest desires. It removes blocked or stuck creative energy that may be dominating your mind and leaving you feeling burnt out or uninspired. Its vibrant orange color stimulates your passion to move forward and achieve your dreams. Carnelian is an action stone that restores motivation, confidence, and joy. Quartz crystal is made of silica, the most abundant element on the earth. It also makes up the human body, on a cellular level. When quartz crystal touches your skin, a merging of energy occurs, which is believed to encourage optimal health and healing. Ancient civilizations utilized quartz to balance the body and clear the mind. It’s a powerful crystal that transmutes negativity and amplifies energy to raise your vibration and help you align with light and clarity. Celestite’s name is derived from the Latin word caelestis, meaning celestial. By simply gazing upon it, the heavenly blue color of this crystal inspires deep peace and happiness. It’s an ideal crystal to place in your bedroom to bring tranquility and harmonious energy, encouraging restful sleep. When placed directly on your body, celestite brings muscle and stress release to the area on which it is placed. Citrine is one of the most powerful crystals and is a symbol of light and happiness. It doesn’t hold any negative energy and emits large amounts of positive energy. It serves as a friendly reminder to be present and in the now because, in this moment, you can create miracles. Citrine is a manifestation stone that encourages you to dream big, maintain a positive state of mind and attract everything you want in your life. Aventurine helps you to overcome feelings of self-doubt. It opens up the energy of the heart, attracting new opportunities. It helps to increase confidence, self-worth, and optimism. As your mind and energy field open up, you are able to see the infinite abundance and opportunities that surround you. Believed to be millions of years old, Shungite is an ancient crystal that is found in Russia. Scientists are still currently researching the full potential of this magical mineral. It’s utilized as a powerful shield against electrical magnetic energy (EME). Shungite helps to absorb negative energy and pollutants. Place a piece of Shungite next to computers or wear on your body as an energetic shield. There is so much more to know about crystals but if you considering purchasing powerful crystals for healing, these are a great start to your collection. Also, consider referring to A Simple Guide to Selecting and Using the Perfect Crystal For You. I whant to buy everyone but are they accpensiv?